Today we will be introducing you to more restaurants and konobas in the Kornati National Park. You’ve missed the first part of the article? No problem, simply click on this link. 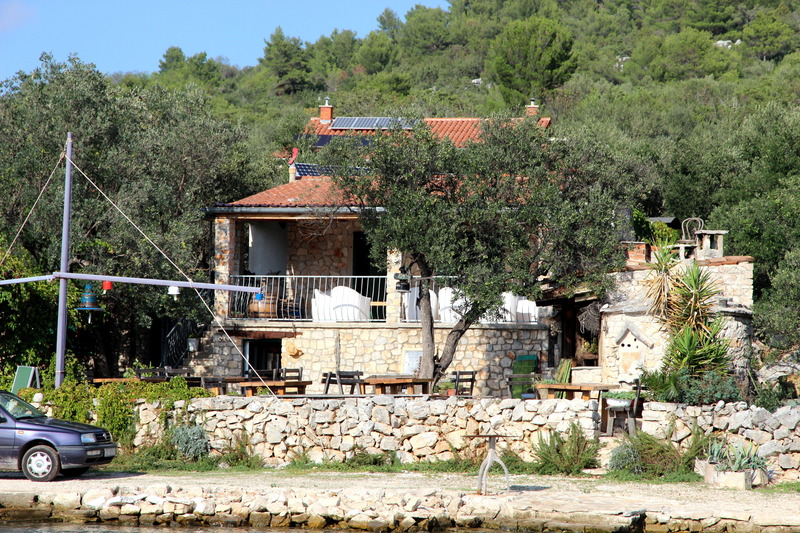 The Konoba Go-Ro lies in Magrovica Bay on the island of Dugi Otok and is run by Goran and his son Jakov. They produce or catch most of the ingredients for their dishes themselves. For example, the vegetables they grow behind the house are harvested fresh. They catch the fish themselves or buy it from local fishermen and then barbecue it. Guests are very welcome from 15 April to 15 October, in high season guests should reserve a table in advance. The Go-Ro is one of the high-priced konobas, but the fresh ingredients and the home-made wine make up for it. The Kornati National Park consists of nearly 90 islands, islets and reefs, covering an area of 220 km². Kornat, the largest island, gave the archipelago its name and has an area of 33 km². It has extremely little vegetation. 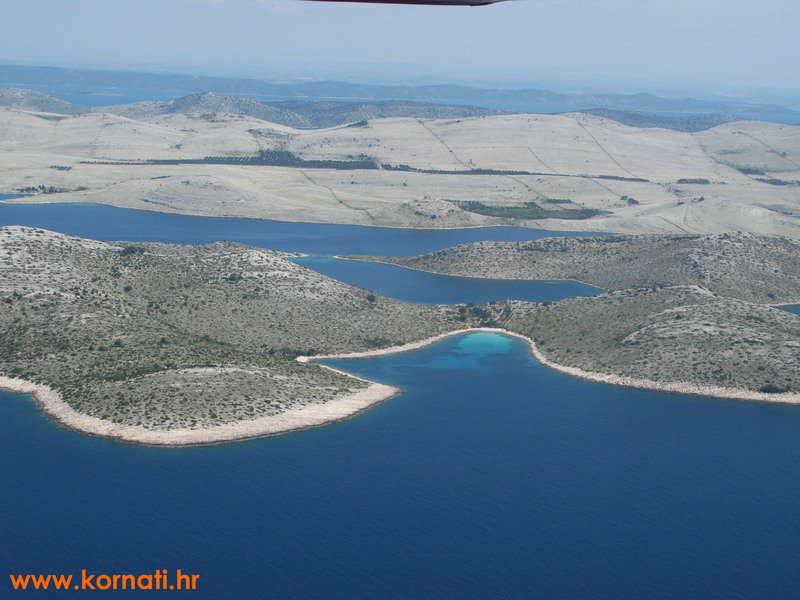 Most of the Kornati islands are made of water-permeable and water-soluble limestone. The karstified barren landscape has no flora to speak of, only in a few places where soil was able to be deposited do small trees and bushes grow. The Kornati and the neighbouring islands are popular with sailors and motorboaters because of this barrenness and their many beautiful anchorages, buoys and harbours. But the Kornati also have many culinary delights. We will be introducing some of these restaurants in two articles. You can find many more restaurants and konobas in the Kornati and the neighbouring islands on mySea where you will also find more information about each restaurant. Or log in and click the link on top of the restaurant descriptions, which will take you to their detail pages.